Stories are like Russian dolls; open them up, and in each one you'll find another story. 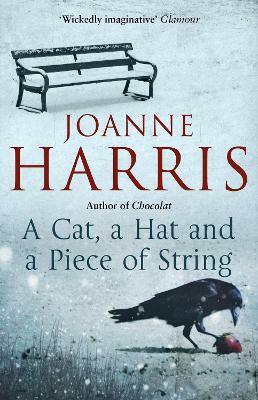 Conjured from a wickedly imaginative pen, here is a new collection of short stories that showcases Joanne Harris's exceptional talent as a teller of tales, a spinner of yarns. Sensuous, mischievous, uproarious and wry, here are tales that combine the everyday with the unexpected; wild fantasy with bittersweet reality. "Strongly plotted and written in registers that are variously comical, sad and surreal...Best of all is 'Cookie', where delicious gluttony - Harris's forte - gathers a sharp note of menace." Joanne Harris's Whitbread-shortlisted Chocolat was made into an Oscar-nominated film starring Juliette Binoche and Johnny Depp. She is the author of many other bestselling novels, including Lollipop Shoes and Peaches for Monsieur le Cure, both also featuring Vianne Rocher, as is her new novel The Strawberry Thief. She has also written acclaimed novels in such diverse genres as fantasy based on Norse myth (Runemarks, Runelight, The Gospel of Loki), and the Malbry cycle of dark psychological thrillers (Gentlemen & Players, Blueeyedboy, and Different Class).